it is appropriate. The choir is largely self-financed from weddings and the generosity of individuals; there is a large library of music provided by St George’s. The New English Hymnal and Celebration for Everyone hymnal are used for congregational hymns and songs. 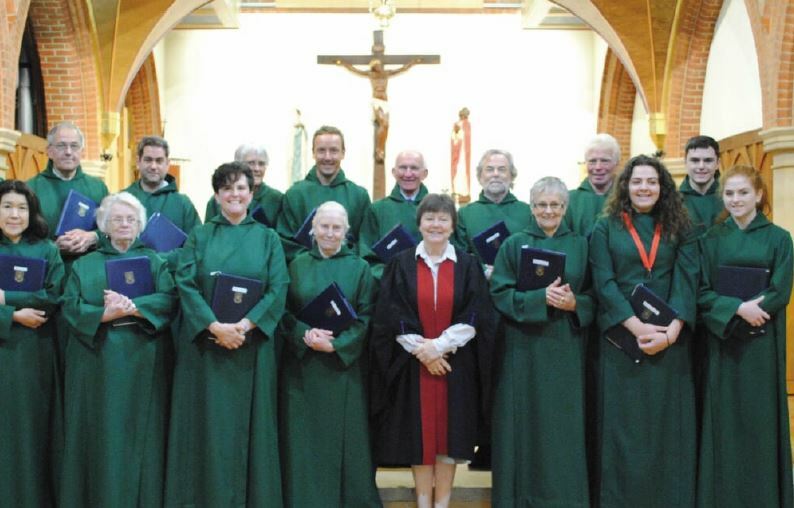 Our talented choir contributes a great deal to the Parish Mass, but also works hard for Advent and Christmas Services, and the Easter Triduum in addition to Candlemass, Ascension and other Feasts. Music at St George’s is enhanced three or four times a year by a home-grown orchestra to accompany modern hymns and basic settings. New members of the choir are welcome at any time. 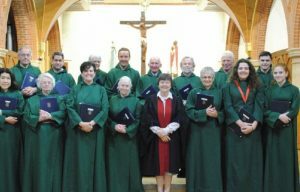 Entrance is by demonstrating commitment to attendance at rehearsals once a week (currently Tuesday evenings 6.15pm – 7.15pm) and singing at the 10.00 Sunday Mass. Choir members also sing at weddings, funerals and special services when requested.